Apologies for not updating the site sooner, its been one hell of a busy year. I’ve not managed to get out fishing nearly as much as I’d have liked and probably as a consequence 2012 was a mixed year in terms of success. 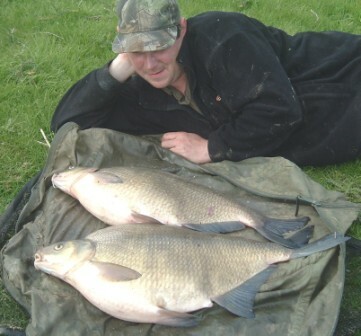 As I stated in my last blog I had a couple of good tench, spectacular even, by local standards. I didn’t manage to get out Bream fishing at all but I did snare a couple of accidental double figure slabs whilst tenchfishing! The total sum of my roach or chub fishing amounted to four days on my local Yorkshire Derwent, between floods. Again results were mixed and I had Roach weighing 1-12 and 1-06, a 4-14 chub and two blanks in the swim where I caught the roach. 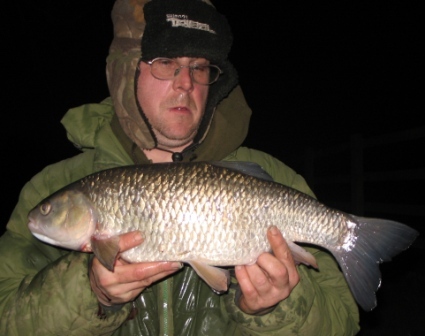 Atleast my barbel fishing on the Trent might be considered successfull, though I did have a couple of blanks. I had one day when I couldn’t stop catching on the maggot feeder and ended up with thirteen fish to around nine pounds. Other trips were less productive though I did end up with two big fish; a twelve and a 13lb’er. Because of the inconsistent condition of the rivers last year I spent the last couple of months Perch fishing on a local stillwater with rumoured history of producing fish to over 4lb’s. Whatever the truth of these rumours the best fish that I caught was a shade over 2 1/2lb’s. I suspected quite early on that the big perch weren’t there any more, but I persisted because one of the bailiffs told me about a fairly recent capture. Then I bumped into an old chap who had been Perchfishing the water for several years who told me his last big fish had been caught over two years ago. I suppose this is one of those lessons that you keep having to learn. Bailiffs and fishery mangers are really quite often, not the most reliable or trustworthy of sources! This is not to tar all such people with the same brush but if your time is limited you are always far better off selecting a water where there’s no doubt the fish you seek, actually exist! It’s at this time of year that I start making plans for next years campaigns. These plans are never set in stone of course because you never know what opportunities are going to arise further into the year. Its quite rare for me to become aware of a local population of big fish that I never suspected, but it does happen occasionally so it is worth being flexible. With regard to specific waters. I don’t have any intention of traveling far from home in 2013. The price of petrol simply doesn’t make this viable for me these days so I’ll be picking from what I consider to be the best venues within an hour and a halfs drive of Hull. I consider this a major handicap as we are not exactly over endowed with specimen fish in my part of the country.I have to say I’d love to go Tenchfishing down in Kent, Chubbing on the Great Ouse, crucian fishing in Surrey and Bream fishing in Berkshire etc..but the truth is that even if I had the finances to do this, the amount of time I get off work would not enable me to do the relevant venues justice. One of the campaigns that I will be sticking to is my tenchfishing on the large Yorkshire lake that I fished last spring. This was a real effort and there were times when I hated the place! Ultimately though, as long as the fish I want to catch actually exist and presuming I have the resources and time neccesary to achieve a degree of success, this sort of challenge tends to motivate me more than any other. My ultimate goal is a double figure tench from Yorkshire, something that only a couple of guys have managed to achieve to my knowledge. I know it won’t be easy, I know I’m not going to catch many fish and there is a very slim chance of me achieving my goal, but boy am I looking forward to it! With well over 200 double figure Bream to my name I keep telling myself that its time I tried for a real monster. I’ve had a ticket for a water in Berkshire that regularly produces Bream in the 16-17lb class, for the last couple of years; but just haven’t been in a situation to use it and can’t envisage me getting an opportunity this year. .Instead I’m going to opt for a more local 200 acre lake that has produced a couple of fish over 15lb’s. To be honest I’m expecting more of the same in respect of the size of the bream I catch. I won’t be fishing for them when they are at their biggest (I’ll be tenchfishing) and with a top weight of just over 15lb, the majority of the fish will no doubt be in the 10-13lb weight range. I suppose with the odd really big fish having been caught from the lake there’s always the possibility that something even larger exists, though It has to be said that such optimism is often counter productive if you fully intend to achieve your targets. I know that I should really be heading off to that Berkshire lake or somewhere else where I’m not having to wade through low doubles but with the ecconomy still in a state I suppose we all have to cut our cloth accordingly. I’ve long preferred a brolly to a bivvy when staying at the waterside for a substantial period. Not only is a brolly generally lighter than most bivvies but it is easier to errect and dismantle. I always feel far more inclined to move swims when I don’t have to spend half an hour packing a bivvy away and I like the fact that you have a much wider view of the lake with a brolly. Unfortunately my previous brolly had met with its fate and because it hadn’t lasted particularly long I had been holding off on buying a new one until I saw something that struck me as being of better quality.. When the Wychwood Solace HD Brolly was released I knew I had to have one. The first and most striking feature is the quality of the cover. This might best be described as a thick canvas like material, that appears far more durable than the conventional materials used. I like the fact that all four back ribs touch the ground, making the shelter much more stable and I especially like the fact that this feature enables the solace HD to be almost free standing, with no neccesity to push the poles into hard gravel. 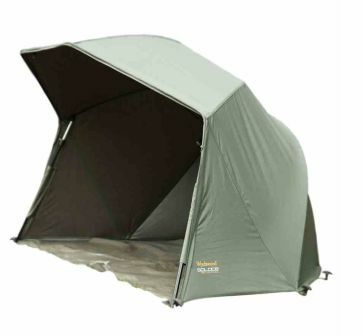 Wychwood obviousely have a lot of confidence in the quality of this product because they provide a 5 year warranty. There are four different versions of the Solace HD brolly, 50 inch and 60 inch standard brollies with sides plus a system in both sizes which basically has a front on it. There’s also an overwrap that fits both the standard brollies and the system. I wouldn’t say that any of these products are cheap but the truth is that the quality of them is far better than other similarly priced products.. I met Shaun Fox a couple of years ago and he immediately struck me as a very good angler. Our friendship has flourished since. When shaun agreed to do a piece for my blog I was quite pleased because I felt it would provide a little variety and a different perspective. Shaun certainly doesn’t seem worried about tackling controversial subjects as you will read in his piece. I don’t know if we quite concur on the subject of rig safety but then we all base our opinions and morals on the experiences that we have in life. For my part I have personal experience of having had my line cut off on unseen objects on several occasions and have similarly seen it happen to others a few times. The outcome of this is of course never clear. There’s no saying that a fish picking up a loose rig won’t be able to get rid of it. From the alternative perspective there’s no saying it will either! The rig that ‘specialist’ anglers in particular seem to have problems with in terms of creating a ‘safe’ version; is the paternoster. Of course you can use float stops to semi fix the hook-link to achieve a semi-fixed effect but there’s no telling that smallish fish (roach for instance) would be capable of pulling the hooklink all the way off the line if the breakage has occured more than a couple of feet above the rig. components: 1mm rig tube, 2mm silicone, two tapered rubber beads plus an oval ring or swivel for hook-link attachment. 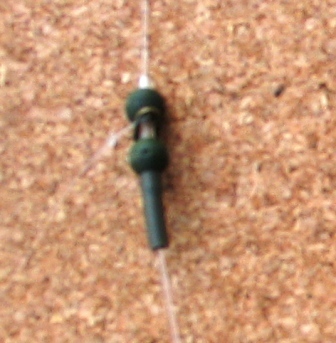 The rig is mounted on a tiny swivel tied between the mainline and bomb link. I have a solution. Not only is this safe in terms of the hook-link being able to pull off the line easily, but in my opinion it provides far better bait presentation than just tying the hook-link on ‘death rig’ style. Because the hook-link revolves it tends to lay flat on the lake bed rather than kinking up in whichever direction the hook-link knot dictates. The smaller the swivel you mount the main rig body onto, the more easily the hook-link is ejected. 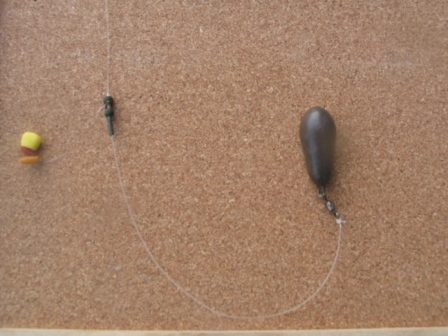 I’m confident that this rig will catch you more fish than if you tie your hook-link direct, I know this because this is the exact rig that I use for my daytime bream fishing and I adopted it initially because of the presentational advantages it offers rather than for rig safety purposes. I adore crucians because not only are they beautiful, they offer a unique challenge. Wheras it has been said that say roach and tench can be finicky this description only truely apples to the crucian. 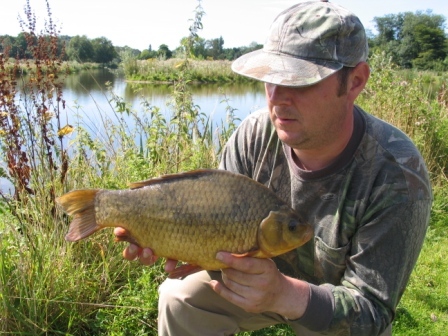 Unfortunately the poor old crucian has been decimated in my part of the country much as it has almost everywhere else. Dave Tipping had the idea of perhaps trying to re-introduce this species in one or two local waters in order to preserve the species and several other local anglers have joined us in our quest. I’d love to say we have succeeded but the reality is that its been a strategic nightmare.. Simply finding a water that hasn’t been infiltrated with carp (one of the main causes of crucian populations being depleted) has proven to be extremely difficult and when we did find somewhere we hit a brick wall when it came to getting a lease. We haven’t given up of course and the Regional EA have been very helpful in providing information and often doing more than might be expected of them in an attempt to assist us. Many thanks to the EA and I hope to report a happy conclusion to our plans in the forthcoming months. 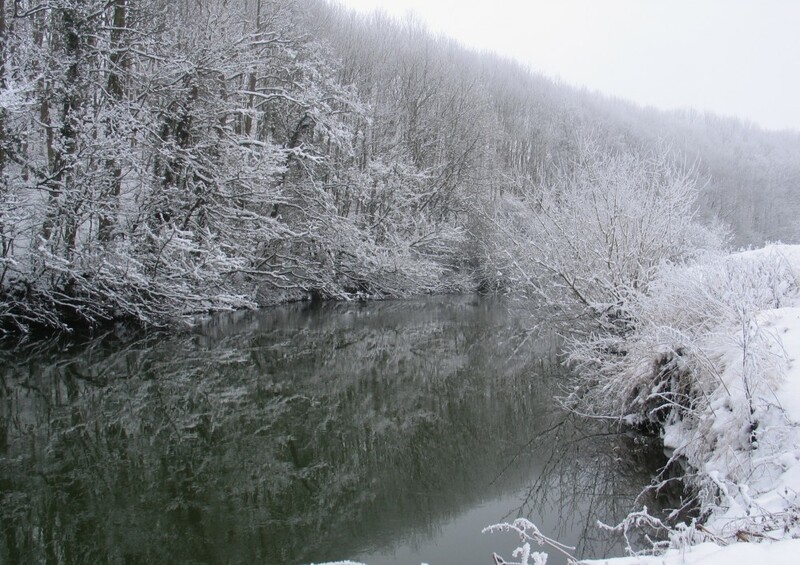 Entry is £3 for Barbel Society members. £5 none members. Juniors get in for free! FFF feeders will be there and there will be the usual raffle with great prizes to be won. This entry was posted in Uncategorized by timridge40. Bookmark the permalink. I’m the “old chap” you met whilst perch fishing. You’ll get some stick for this at Wetherby. Nice to hear from you mate, Why would I get any stick? Oh I see for calling you old, Sorry mate; didn’t think but compared with most of the blokes I meet on the bank I’m bloody old! They say no youngsters are comming into the sport but on my waters its the opposite. Tim, Les is an old bugger at least a year older than me. Staddy is for me past its best it fished for a year and had a quiet a few perch two of which were over 2lbs just too many lobworm loving carp that knew every tree root though I did get a 16lb 4oz on free lined lob and on a pin a couple of winters ago.